Two of the UK’s oldest sight loss charities have merged to become the Royal Society for Blind Children (RSBC). With effect from 1 January 2017, the full merger represents a landmark moment for the sector. It allows the charity to forge ahead with its plans to grow its services on a national scale and fulfill its mission that "no child should grow up to be poor or lonely just because they are blind." There are an estimated 22,000 blind and partially sighted children and young people in England and Wales. Ninety per cent of those diagnosed with sight loss in youth won’t work for more than six months of their lives and an estimated 70 per cent are living on the poverty line. 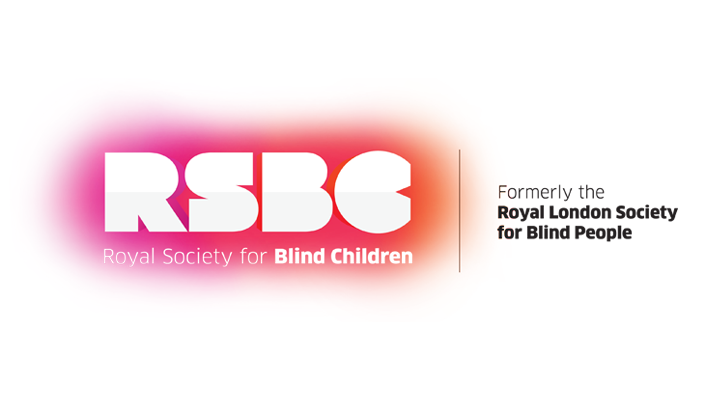 After forming an alliance in 2014, the Royal London Society for Blind People (RLSB) and RSBC will now conduct all its operations under the same name, making clear its position in the sector as a charity focused on childhood sight loss and its negative impact on life chances. Now with greater resource and geographical reach, RSBC is in a unique position to grow its core services and work towards its key objective of breaking the cycle of poverty and social exclusion that affects such a high proportion of blind and partially sighted young people. RSBC is already expanding its post diagnosis support to both children and their parents, which they believe to be crucial to prevent children from growing up into unemployment and loneliness. The Family Support Service (FSS) can be accessed across England and Wales and is a direct response to the fact that so often, parents of a newly diagnosed child don't know how to adapt to their child's condition. As well as the FSS, RSBC also provides services for teenagers and young adults. These include social groups, health and well-being clubs, further education and work skills. By 2020, RSBC aims to have supported 11,000 blind and partially sighted children across England and Wales.